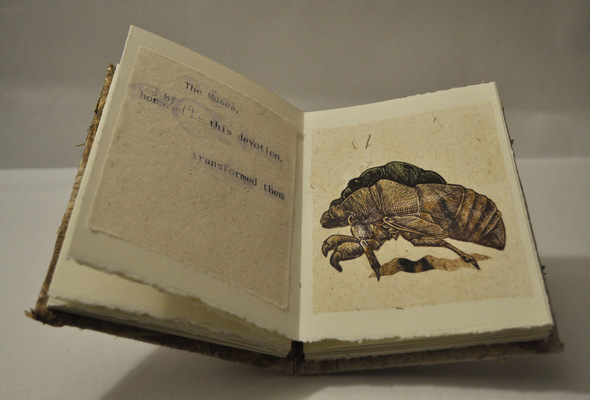 Tettix gives a brief telling of the Greek myth concerning the cicadas, thought by the ancient Greeks to be created by the Muses. 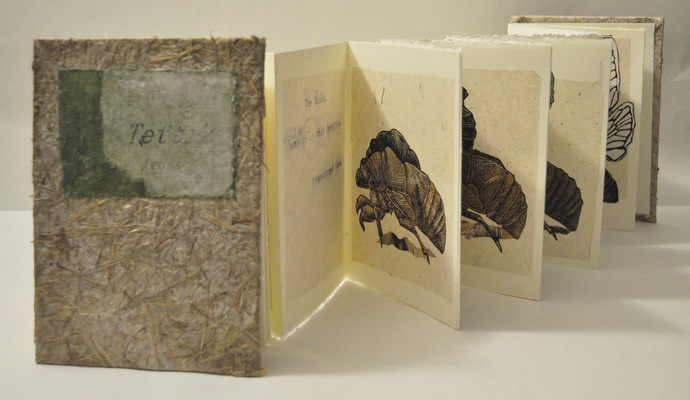 The book juxtaposes the tale of the creation of the cicadas with the insects actual life cycle, drawing similaries between fiction and reality. 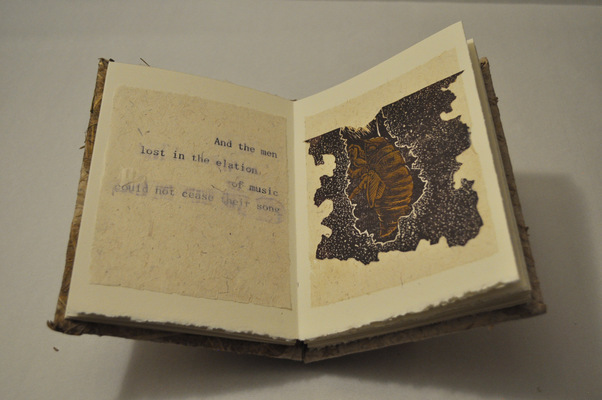 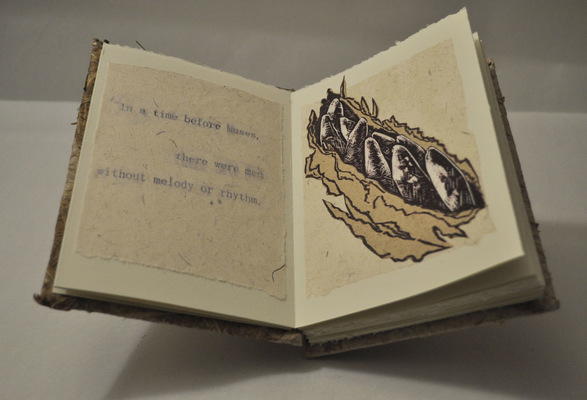 The book uses linocuts, chine colle, and the accordion fold book structure.